Our Children’s Earth Foundation was founded in the late 1990s and initially focused advocacy efforts on enforcing key laws to protect communities from the impacts of air pollution. Many of our lawsuits have provided multiple benefits to air quality, public health, and climate health. We can all breathe a little easier when citizen groups like OCE and our many ally organizations fight for our laws and ensure that the many governmental entities that regulate air pollution are doing their job. Our CLIMATE CHANGE PROGRAM focuses on achieving significant reductions in greenhouse gases via lawsuits and other forms of advocacy, and our GOVERNMENT ACCOUNTABILITY PROGRAM focuses on making sure that agencies at all levels consider citizen input and are transparent to the public when they oversee and develop regulations related to protecting our environment. Communities all over the United States suffer from poor air quality, smog, and toxic air pollution that impacts health in numerous ways. Asthma and other respiratory illnesses are common, especially where air polluters are not held to account for their environmental impacts. Throughout our history, we have been stalwart in our efforts to prevent and reduce air pollution, so that our children and our children’s children can breathe easier. Among our specialties is analyzing complicated regulations and proceedings by local and state air quality boards, and ferreting out violations that are often difficult to find and understand but extremely high-impact in their implications for air quality and public health. In all of our efforts, we work with impacted communities to ensure long-term improvements to their air. OCE will continue in this fight, as we work to ensure states’ compliance with the Clean Air Act and advocate for updated regulations to monitor and manage the impacts of pollution. See below for summaries of OCE’s key air-related cases. A full list of OCE’s cases can be found here. Coal-fired power plants emit dangerous air pollution that contributes mightily to the atmosphere carbon glut we are currently experiencing, while also causing respiratory illness in nearby communities, acid rain. Coal plants often pollute waterways as well, with heavy metals like mercury that can accumulate in fish tissues and up the food chain. The Tennessee Valley Authority (“TVA”) was one of the largest users of coal in America. OCE participated in a lawsuit that lasted for a decade and resulted in a broad-based agreement for pollution reductions at all TVA plants, the payment of billions for upgrades and retrofits at more than 40 coal burning units, the closure of 18 coal fired units, and the reduction of 15 million tons of CO2 emissions. The settlement was a game-changer for the southeast United States, where residents in Tennessee, Alabama, and North Carolina had dealt with health problems and ecosystem impacts of coal plant emissions for decades. When the case settled, the E.P.A. estimated that the actions required by the settlement would prevent approximately $27 billion dollars in health costs including at least 1,200 premature deaths, 21,000 asthma attacks, and hundreds of cases of bronchitis and heart attacks. 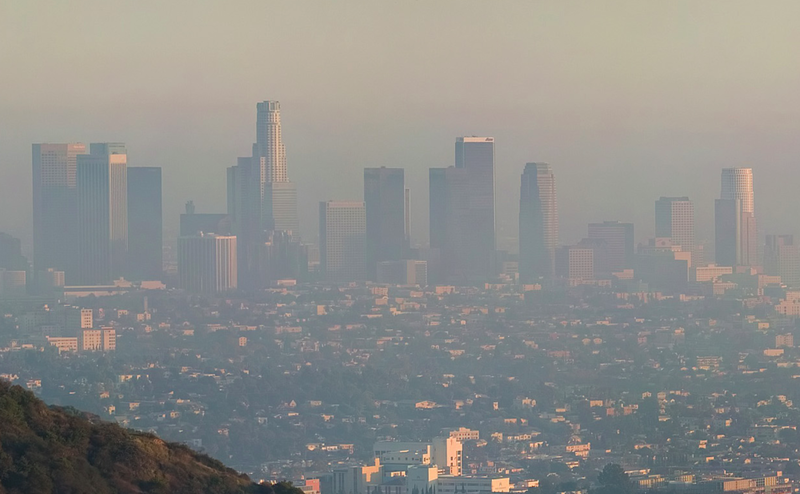 Between 2002 and 2003, OCE partnered with Communities for a Better Environment to bring a series of lawsuits under the Clean Air Act challenging pollution trading violations that resulted in the release of at least 460 tons of a smog-creating pollution in the Los Angeles area. Children who play outdoors in smoggy areas have greatly increased risk for developing asthma. Seniors and people with respiratory problems are also highly vulnerable to smog pollution. The two largest emitters of Nitrogen Oxides (“NOx”) in the area—refineries and power plants—had increased their emissions in the years prior to our action, despite a “pollution trading” program that was endorsed and managed by local air quality boards. Together with our co-plaintiff Communities for a Better Environment, OCE succeeded in ending the illegal and ineffective pollution credit trading scheme, requiring robust public disclosures regarding future air pollution, creating a community fund of $1 million to be used to reduce NOx pollution in hard-hit areas, and requiring compliance with clean air rules moving forward. Perhaps most importantly, these lawsuits significantly reduced smog pollution in the greater Los Angeles area. Yellowstone National Park is a beloved public asset, and the visitors and wildlife there deserve clean air. In 2003, OCE joined with two Montana-based organizations to appeal a woefully insufficient air pollution permit that Montana state officials had approved for Roundup Power Plant, a coal burning plant located about 160 miles northeast of Yellowstone. Our coalition of environmental groups was concerned about the carbon dioxide, mercury, sulfur oxides, carbon monoxide, nitrogen oxides, volatile organic compounds, and other hazardous air pollutants. We were also concerned about air quality and visibility in specially protected areas including Yellowstone. Despite the government’s own expert analysis showing that coal emissions are dangerous, initial authorization for the power plant were approved by officials. However, because citizens are empowered to hold government officials accountable when public lands are subjected to pollution violations, a lawsuit led by Earthjustice proceeded through the court system. 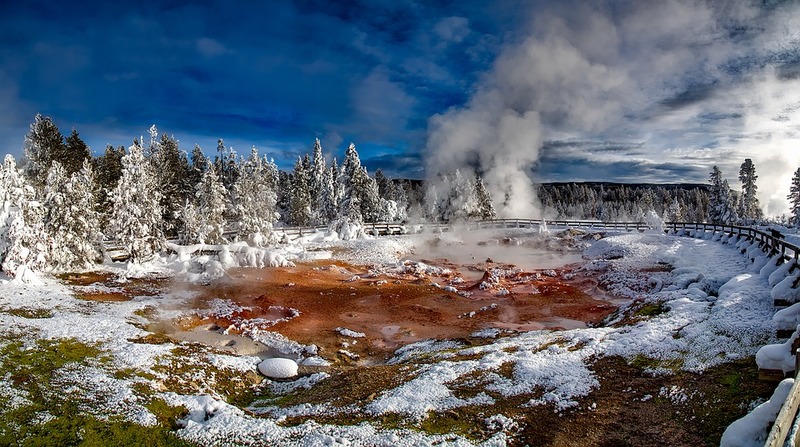 Eventually, the government withdrew approval for the Roundup Power Plant, which remains on hold pending adequate science-based analysis of the projects impacts to visibility in Yellowstone. The Clean Air Act requires that polluters get permits and local air quality authorities oversee the permitting program in compliance with federal law. In late 2001, EPA approved an air quality permitting program in the San Francisco Bay Area that was deficient in many ways and strongly opposed by environmental groups, which formed a coalition and sued EPA. We reached a settlement less than a year after filing suit, requiring proper rulemaking actions and deadlines to protect air quality and improve public health outcomes, and we also fought to ensure that agricultural operations be included in the permitting program. Previous to our lawsuit, California was the only state to prohibit local air districts from requiring air pollution permits for agricultural businesses, making it impossible to adequately measure or manage air emissions from large farms throughout the state. The exemption included massive dairy cow operations in the Central Valley, which can emit more volatile organic compounds into the air than motor vehicles. Farm equipment and harvesting methods contribute to air pollution as well. Thousands of children in California’s agricultural regions suffer from asthma, which is caused and exacerbated by the kinds of agricultural pollution that the state was purposefully ignoring. OCE and several other organizations that participated in the lawsuit argued that EPA had a duty to intervene. Under the settlement, EPA required California to eliminate its agricultural exemptions for large farms, particularly for diesel water pumps and other forms of air pollution like livestock waste. In the same year that our case settlement was finalized, and as a result of the bright light we shined on ag pollution and the state’s unusually permissive stance toward it, the California Legislature removed the agricultural exemption from state law.